This complete course has been specifically designed to train private pilots to become future airline pilots. We combined the different modules in one so we can provide focused and condensed quality training that brings out the best of our students and prepares them to successfully pass an airline interview. Training includes a week long IR theory course, 30 hours actual flighttime on the Garmin 950 equipped Tecnam P2006T, 35 hours of FNPT2 simulator training by active airline pilots, 15 hours CPL training on the Tecnam P2002, all instruction, briefings, landing and approach fees and aircraft rental for the combined MEP (L) + ME/IR + CPL flighttest. The courses take approximately 12 weeks and start every first week of the month. There are no hidden charges, you pay no VAT. Testing can be done directly under any EASA member state. 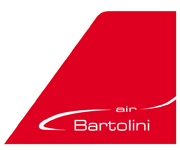 Contact Aleksandra Kapela on +48 508194180 or send us an email at akapela@bartoliniair.com if you want to enroll or to have any questions concerning the training answered.